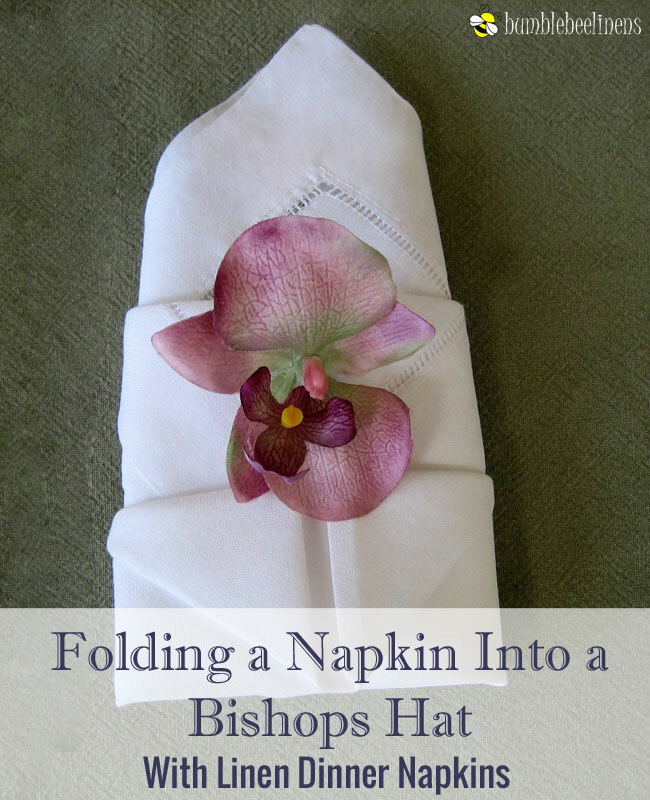 The Bishops Hat napkin fold is a very classic fold used in many restaurants. 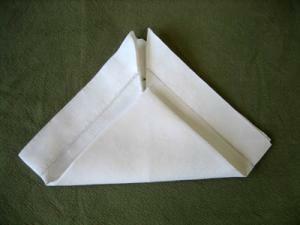 This fold looks great lying down or standing up on the place setting and works well with most of our cotton and linen dinner napkins. 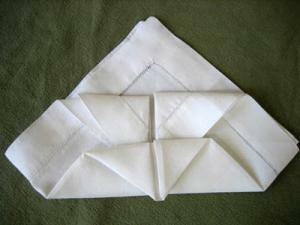 For best folding results, it may help to first iron the napkins thoroughly with starch to ensure a more rigid napkin. 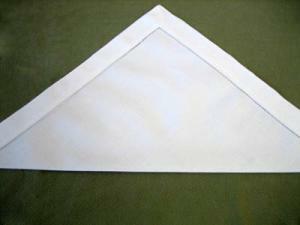 Fold the bottom right and left corners up to the top corner. 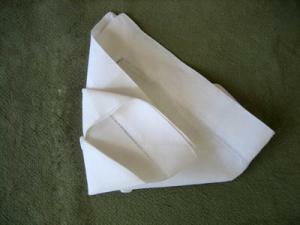 Fold the bottom corner 3/4 of the way up to the top corner. 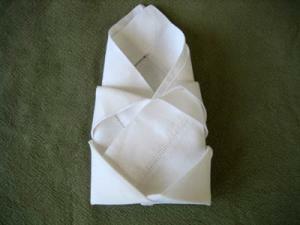 Fold the front top corner down flush with the bottom as shown. 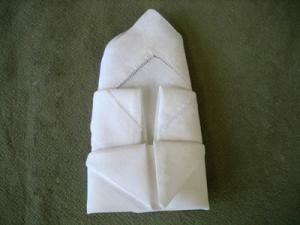 Fold the two top flaps down and tuck the edges under the front fold as shown. 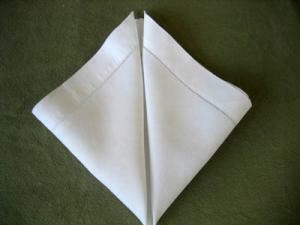 Turn the napkin over and fold the left hand side over one-third of the way. 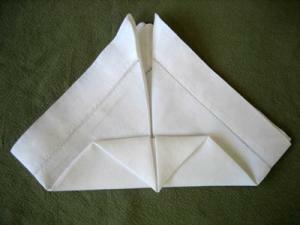 Flip the napkin over and you are done. 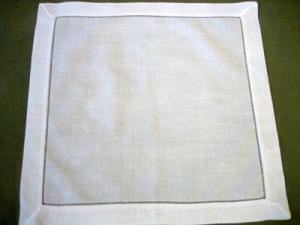 Looks great standing up or lying on the table!